Chandigarh: The state Art and Cultural Affairs Department, which has been proactive in promoting the rich cultural heritage of the state, recently got its new logo —‘Kalash’. It was unveiled by Art and Cultural Affairs Minister Ram Bilas Sharma in Chandigarh, where the minister praised the government for organising 3,350 programmes with a view to promoting and protecting the rich art and culture of the state. For the past couple of years, especially since new Additional Chief Secretary Dheera Khandelwal took over, the department has been trying to present a new look before the general public. Sonepat: After knowing that Devender Sura, working with the Chandigarh Police and popularly known as “tree man”, was influenced by the vision of legendary French architect Le Corbusier, a three-member team from Paris reached Sonepat to participate in a tree plantation programme. The visiting delegate offered tree guards for the protection of the planted saplings. Team members Eric Brian from the ministry of labour of France, entrepreneur Juan Manuel and restaurateur Kuber Sharma visited the nursery raised by Sura in Sector 15. They appreciated his commitment towards greenery and environment protection. In seven years, Sura has planted over 1.5 lakh trees in 152 villages with the help of over 7,600 volunteers. Kaithal: Students of RKSD College undertook an educational trip to Punjab and Haryana High Court in Chandigarh recently. They also visited the Vidhan Sabha. Dr SK Goyal, principal, said the students had an opportunity to interact with Speaker Kanwar Pal Gujjar and were apprised of the House proceedings. Ambala: Madhu Singh, a teacher at Army School, Ambala Cantonment, has won the first prize in the National Letter Writing Competition. Her letter (envelope category above 18 years of age) was adjudged the best from nearly 5,000 entries from the state in the Dhai Akhar Letter Writing Campaign: 2018-19. She was awarded a cash prize of Rs 25,000 and a certificate. She wrote 1,000-word letter on theme “Letter to my motherland” in August 2018. She was presented the award by Ranju Prasad, Chief Post Master General, Ambala Circle, at a philately function held at Karnal recently. Madhu, the wife of a retired Army officer, said children should be encouraged to read and write rather than being addicted to cell phones. Jhajjar: Water hyacinth handicrafts prepared by self-help groups of women in the district attracted the attention of visitors at the ongoing Surajkund Crafts Mela in Faridabad. “Handicrafts like shopping bags, women purses, hats, baskets, mats, and jewellery boxes were put on display at the mela for two days with an aim to promote such products and boost the morale of those engaged in this trade,” says Deepak Alawadhi, divisional wildlife officer. He said all such products were hand-woven and the water hyacinth grown at the wetland of Bhindawas Bird Sanctuary was used to make them. “A special skill development programme with the help of an NGO is being run at the sanctuary to train women of nearby villages in preparing water hyacinth products. Over 100 women have been trained so far,” said Alawadhi. Hisar: Dev Chaudhary (in pic) of Hisar has cleared the prestigious Delhi Judicial Service Examination by securing second position. The Delhi High Court conducted the examination for 50 vacancies. 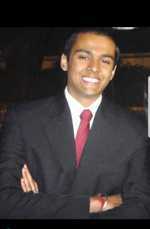 After his schooling from Campus School and Jindal Modern School in Hisar, Dev Chaudhary graduated from Jindal Global Law School, Sonepat. A member of the local Bar Association, Dev started his practice in the Hisar district court under senior advocate PK Sandhir in 2014. He is currently posted as assistant district attorney in the state Revenue Department. Chandigarh: The Haryana Government courted controversy around a sports project in the native village of Phogat sisters, Balali in Charkhi Dadri, and that too near the Lok Sabha elections. The story on the shelving of the project broke out after the Jind byelection as an old order cancelling it surfaced. The reality, however, was that only a duplicate order was cancelled to avoid double withdrawal of money. The government reacted late and by that time, wrestler Babita Phogat had issued a statement that the government should have at least avoided politics with players and described the shelving of the project as a cheap tactic. It was also projected as a vendetta, as the Phogats supported Digvijay Chautala in Jind the byelection. Later, Sports Minister Anil Vij clarified that the project had not been shelved and funds had been released. Soon, the forest clearance, which was pending for months, also came in.